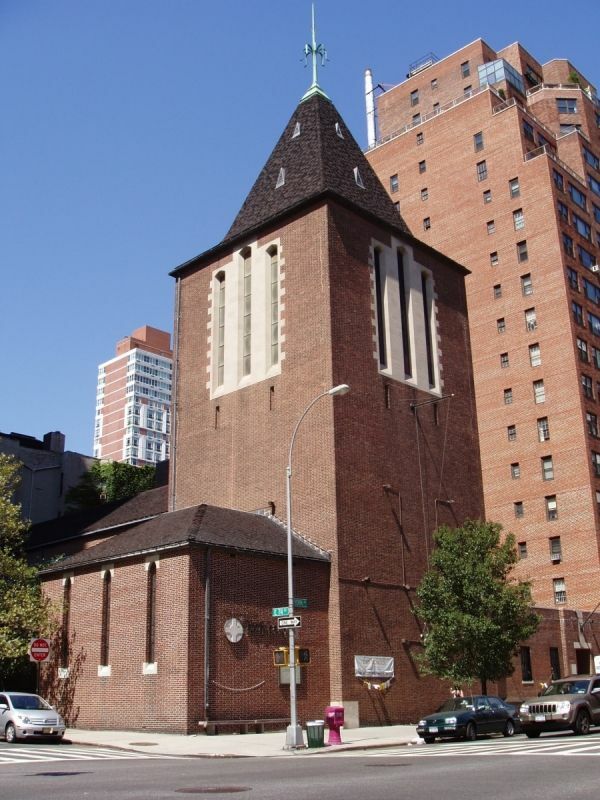 he Church of the Epiphany is located at the corner of 74th Street and York Avenue on the Upper East Side of Manhattan. A wheelchair-accessible ramp is just east of the main doors on 74th Street. The entrance to the Parish Office is at 1393 York Avenue. Q train (2nd Avenue Subway) to 72nd Street. Walk two blocks east to York Avenue, turn left and walk two blocks. 6 train (Lexington Avenue Local) to 77th Street. Walk south to 74th Street, and east (four avenue-blocks) to York Avenue. M15 local uptown First Avenue and downtown Second Avenue buses stop at 75th Street. Walk south to 74th Street, turn left, and walk east to York Avenue. M15-SBS uptown First Avenue stops at 67th and 79th Streets, and downtown Second Avenue stops at 68th and 79th Streets. M31 York Avenue/crosstown 57th St. bus line stops at 74th Street. M72 crosstown buses stop on 72nd Street at York Avenue. Walk north to 74th Street. M79-SBS crosstown buses stop on York Avenue at 79th Street. Walk south to 74th Street. 74th Street is one-way eastbound, York Avenue is two-way. There is a parking garage entrance on East 74th Street directly across from the main church doors.